A blend of leaves from Ceylon, Kenya and Indonesia. 200 bags/box. A blend of Orange and Black Pekoe tea. 150 mg of anti-oxidants per serving. 100 bags/box. Tazo is life, reblended. A distinct green tea flavour accented with lemon and mint.24 bags/box. Premium quality, hand picked estate leaves for rich anti-oxidant content and bold flavour. 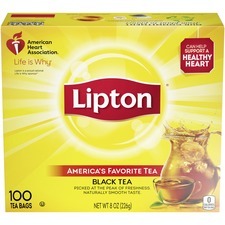 Herbal Tea.20/box. A blend of leaves from Ceylon, Kenya and Indonesia. 100 bags/box.